April 2013 – WBLSports.com | The Official Site of the Western Buckeye League for wbl news, wbl scores and wbl standings. Shawnee’s Britt Lauck to play basketball at Ohio Northern University. Shawnee’s Britt Lauck will continue her education and play basketball at NCAA Division III Ohio Northern University in Ada, Ohio. By admin|2013-06-28T23:06:22-04:00April 18th, 2013|2012-13, Basketball Girls, College Signings/Verbals, News, Shawnee Indians, WBL|Comments Off on Shawnee’s Britt Lauck to play basketball at Ohio Northern University. Shawnee’s Shelby Lucas signed to play softball with UNOH. Shawnee’s Shelby Lucas signed to play softball with NAIA University of Northwestern Ohio in Lima, Ohio. By admin|2013-06-28T23:03:42-04:00April 18th, 2013|2012-13, College Signings/Verbals, News, Shawnee Indians, Softball, WBL|Comments Off on Shawnee’s Shelby Lucas signed to play softball with UNOH. Shawnee’s Aerika Wieser signed to swim with Urbana University. Shawnee’s Aerika Wieser signed to swim for NCAA Division II Urbana University in Urbana, Ohio. By admin|2013-06-28T23:01:00-04:00April 18th, 2013|2012-13, College Signings/Verbals, News, Shawnee Indians, Swimming Girls, WBL|Comments Off on Shawnee’s Aerika Wieser signed to swim with Urbana University. Shawnee’s Raven Venegas signed to play golf with Walsh University. Shawnee’s Raven Venegas signed to play golf with NCAA Division II Walsh University in North Canton, Ohio. By admin|2013-06-28T22:56:58-04:00April 18th, 2013|2012-13, College Signings/Verbals, Golf Girls, News, Shawnee Indians, WBL|Comments Off on Shawnee’s Raven Venegas signed to play golf with Walsh University. Elida’s Ian Haidle signs to play golf with Walsh University. 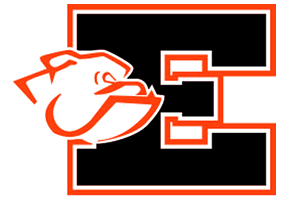 Elida’s Ian Haidle signed a letter-of-intent to play golf at NCAA Division II Walsh University in North Canton, Ohio. By admin|2013-06-28T23:38:05-04:00April 17th, 2013|2012-13, College Signings/Verbals, Elida Bulldogs, Golf Boys, News, WBL|Comments Off on Elida’s Ian Haidle signs to play golf with Walsh University.